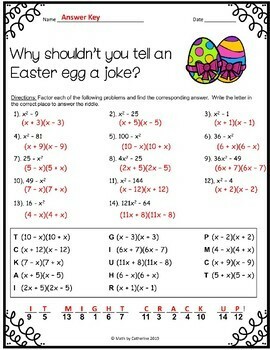 Want to give your secondary math students a riddle? Now you can! 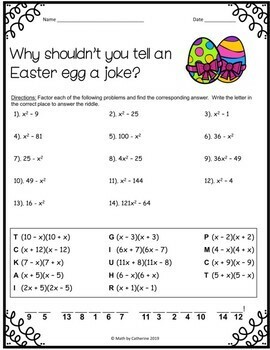 Are you giving a test and need something educational yet fun for students who finish early? 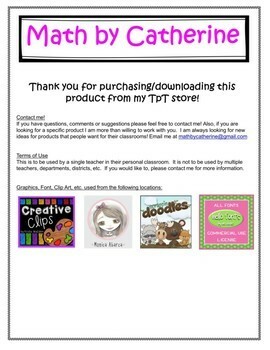 Give your students a fun activity, even in middle school or high school! 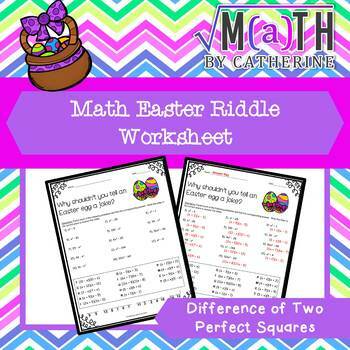 Students complete a worksheet with 14 difference of two perfect squares factoring questions to help them answer the Easter themed riddle.